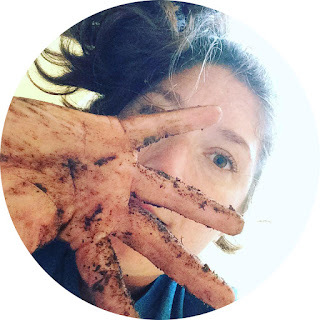 I'm in the middle of prepping a distance course titled "Water and Nutrient Management for Sustainable Home-Scale Agriculture." As I've been researching material for the course, I started reading Gaia's Garden by Toby Hemenway. 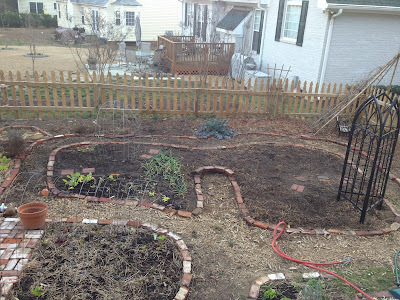 He shows how using keyhole paths and interplanting in the garden rather than rows and paths can increase the amount of area for planting while reducing areas reserved for foot traffic. Last year my family carved out an entirely new garden space. Opting not to build tons of raised beds for the nearly 600 square foot fenced in area, I chose beds to line the fence and then a couple large beds in the center. 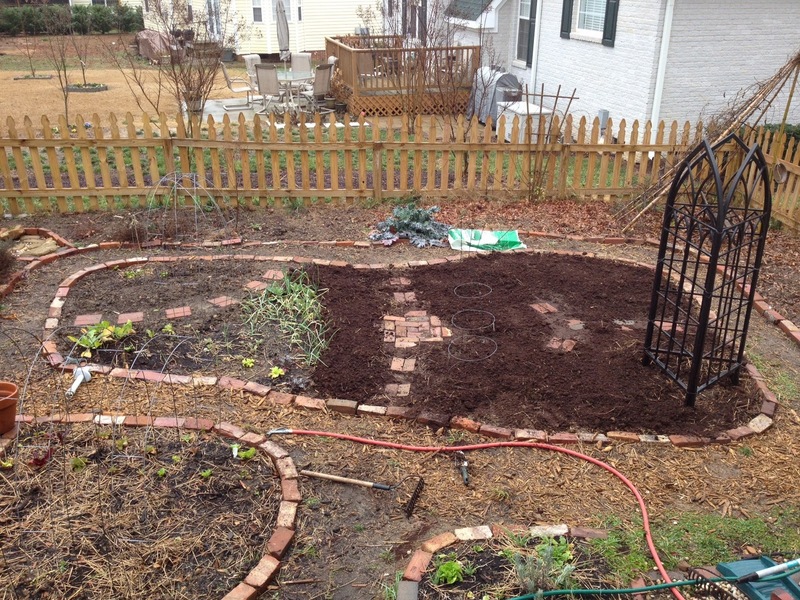 Using reclaimed bricks, I laid out my 18" to 3' garden paths in linear fashion. As the summer advanced, I added some curves, split some larger beds, and consolidated others. Finding the right flow took spending a season in the space and learning which routes we gravitated towards and which spaces were slightly out of reach. 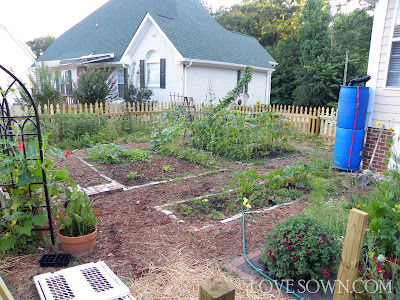 We interplanting the crops, grouping tomatoes, basil and peppers together and planting okra and pole beans together, and corn, squash and beans together. After reading Hemenways' chapter on layout, I realized that I was still devoting too much space to paths. There were two beds in particular that had been split, that now had a large path down the middle that I covered in a 3' tall bean tunnel - good for the kids, completely impractical for me. 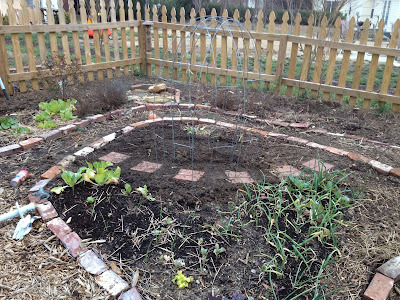 Initially I rejoined the beds and included a keyhole path with a couple stepping bricks to access the parts out of arm's reach from the border. In those larger beds, I often left the middle area open because I couldn't easily get in to weed and pick without damaging the surrounding plants. This path still seemed like overkill, and I didn't like the shape the bed made and the awkward intersection of the paths. I did like the stepping bricks as they would allow me to get in closer to the crops without compacting more soil than necessary. The boys really like the path that leads them under the dome. As long as there is anything that resembles a fort in our garden, it will attract kids. Proving them with a path helps protect the other areas. 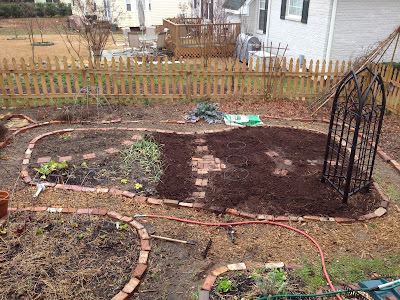 After getting rid of the keyhole path completely, I used what bricks I had left to cut a stepping path through the center with a small brick pad for a little more space to sit and weed the garden. Scooby helped me add peat moss, and the area is nearly ready for spring planting. Because the brick steps are small, I will plant smaller compact veggies along them to keep them open and the area clean. Eventually, this small pad may be expanded or supplemented with some garden art. 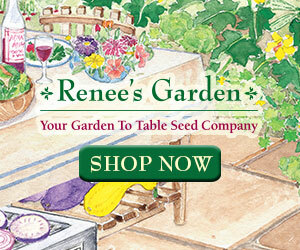 Gardens should be inviting and have spaces that draw you in and beg you to sit and stay awhile. So yes, I definitely create a lot of work for myself in our garden by continually changing the layout. However, I love the evolution of the space and what it is becoming. There's always chance I may abandon these somewhat chaotic curves and return to straight paths and raised beds.